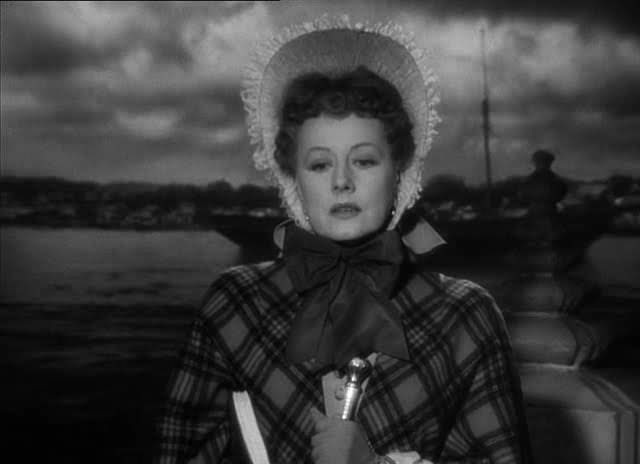 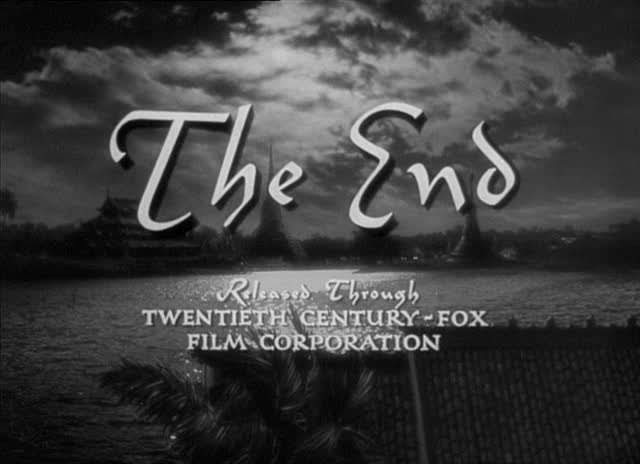 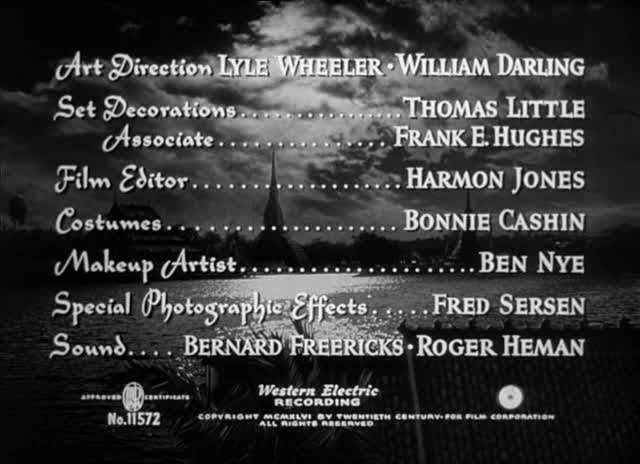 A miniature paddle steamer and painted Bangkok harbor can be seen behind the credits and as a rear projection process screen behind the cast in a few of the opening shots of the movie, supervised by the very capable Fred Sersen. 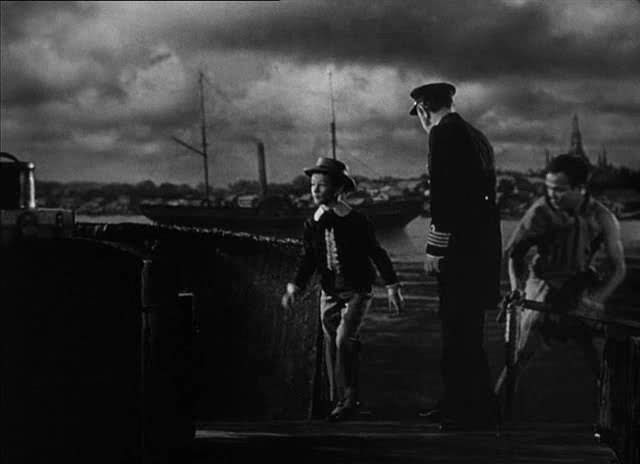 Wayne, a reader of this site, informs me that this model was originally built for "Reap the Wild Wind" in 1942 and subsequently appeared as the nitrate ship in "20 000 leagues under the sea" in 1954. 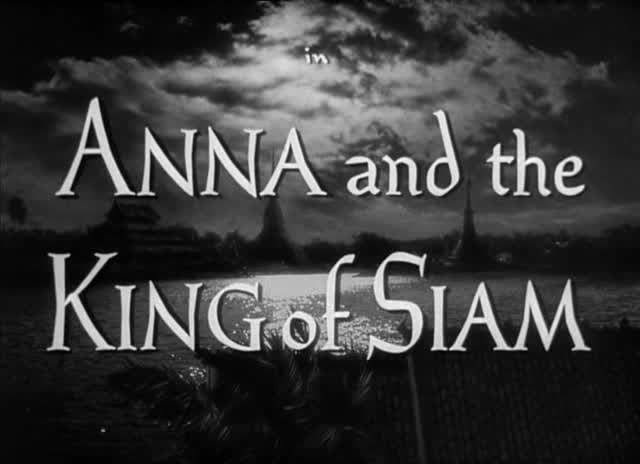 This could also possibly be the same model re-used for the musical version of the very same story in "The King and I" in 1956 and the same re-painted model used in " In Search of the Castaways" in 1962 .